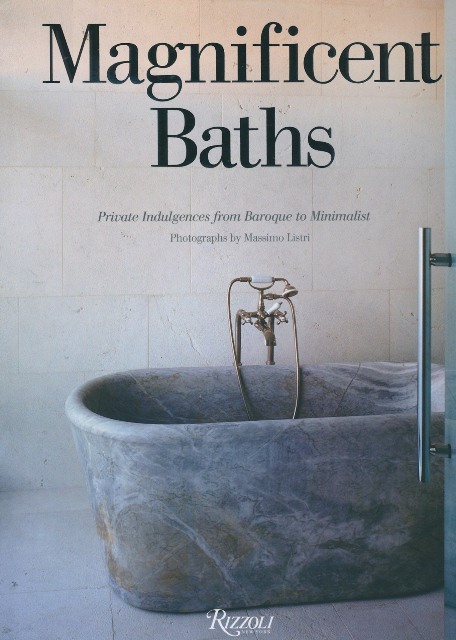 Review copies of upcoming Spring book releases are starting to arrive, and one that has caught my attention is Magnificent Baths: Private Indulgences from Baroque to Minimalist by Massimo Listri. (Rizzoli, 2012.) 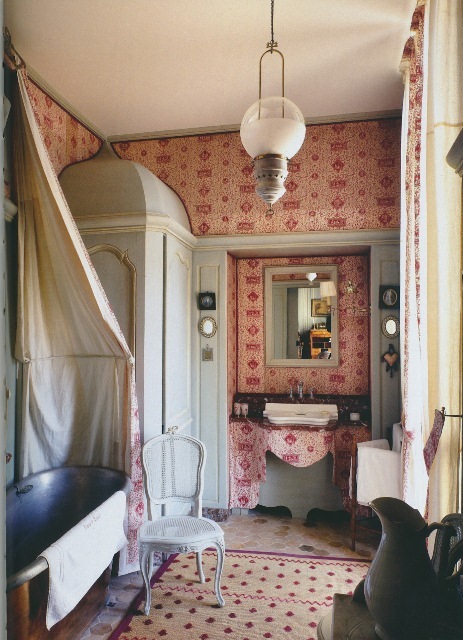 I've long been a fan of Listri's gorgeous interior photography, so it was a nice treat for me to see a book devoted solely to his photographs of baths. 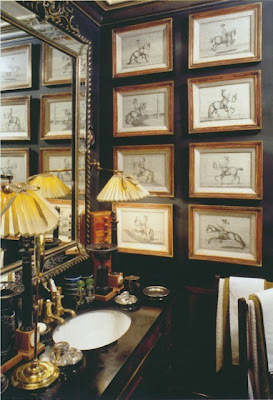 These aren't ordinary bathrooms, mind you, but ones that are, as the title says, magnificent. The kind of baths about which many of us can only dream. While the book is comprised of a mix of traditional and contemporary baths, it's the old and old-looking baths that appeal to me most. 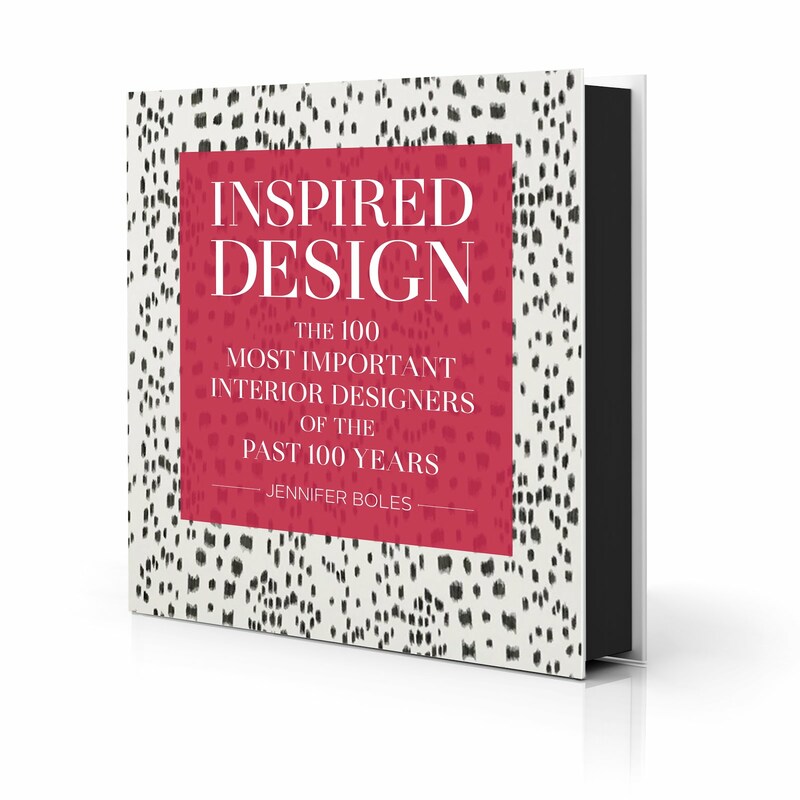 Hyper contemporary bathrooms don't do a thing for me, but if you like them, you'll find those as well in this book. The book's text is minimal, but that doesn't detract from the book as it's really about the photos, and beautiful ones at that. Take a look below at some of the baths that caught my eye. 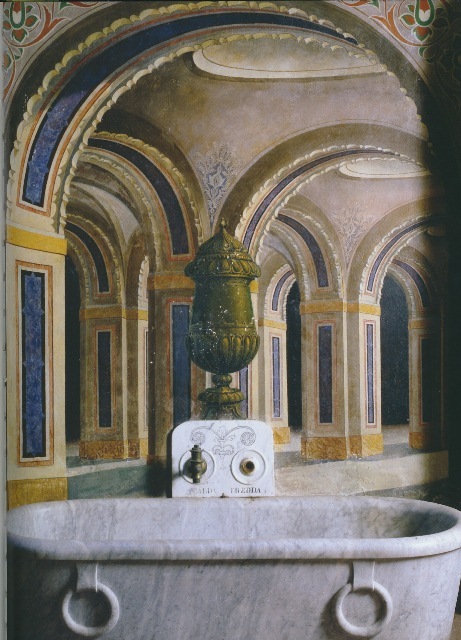 If you're a fan of Listri or if you simply love to look at photos of stunning baths, then you should consider adding this book to your library. Photographer Massimo Listri's bath in Florence, Italy. Château du Champ-de-Bataille, Normandy, France. Castello di Scerpena, Manciano, Italy. 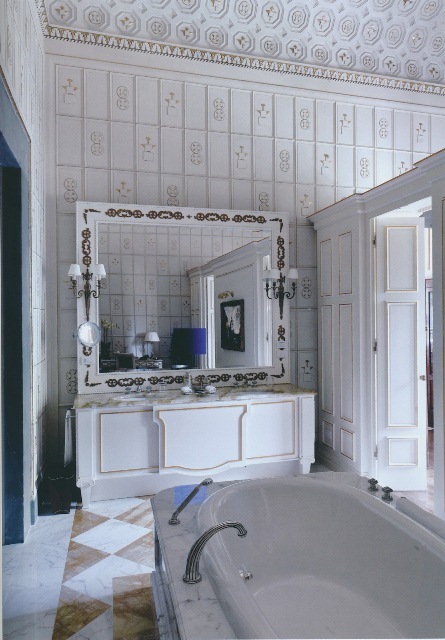 Royal Suite Bath at Florence's Four Seasons Hotel, designed by Pierre-Yves Rochon. A bath in the London home of designer Anouska Hempel. 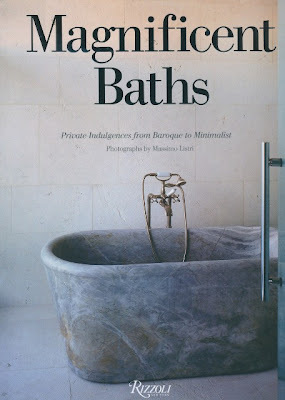 All photos from Magnificent Baths: Private Indulgences from Baroque to Minimalist by Massimo Listri; Massimo Listri, photographer; Rizzoli publishers, 2012. Photos used with express permission from the publisher. While it would be hard to pick a favorite, I am taken by the toile lambrequin-like apron at the basin at the Chateau du Champ-de-Bataille. 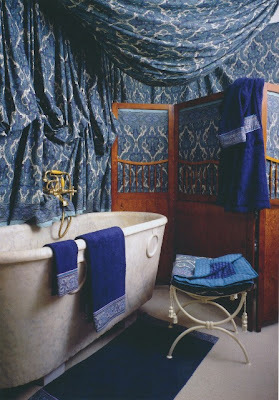 All of these are beautiful and luxurious, even if it seems that they had a sale on those sarcophagus bathtubs. I suspect I would also like the modern examples. 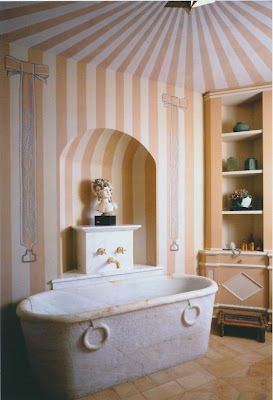 For me to really admire a bath, it has to be practical also. For instance, lots of fabric and prints don't look as though they would take a lot of steam, and some of those tubs look too deep to step into easily--although that might just be an optical illusion. 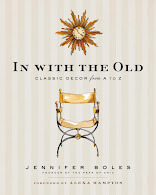 I just ordered the book based on your images, thanks. 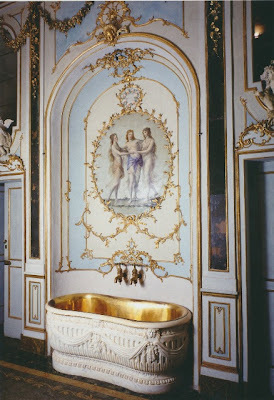 Classicist- That is a very lovely bath and just what one would expect from Jacques Garcia. Kippie, Hope you enjoy it! Parnassus- I completely agree, and I'll add that it needs to be easy to clean too. 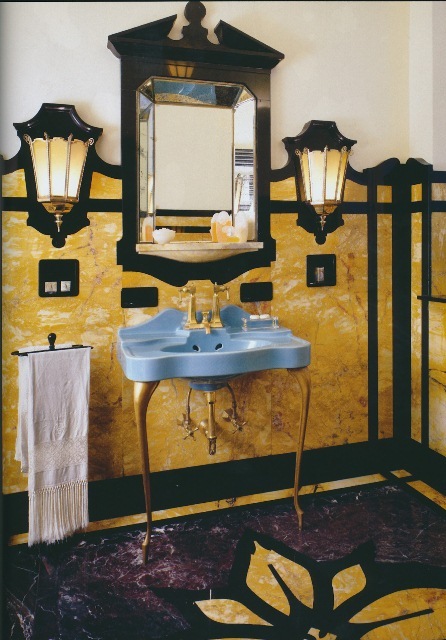 What good is fancy tile and marble if you can't clean it easily? I wish you a very wonderful week. The Flowers of Tiffany & Co.